services for Mercy Medical Center of Merced, invited a guest speaker to describe the U.S. Center for Disease Control and Prevention’s Adverse Childhood Experience Study (ACE Study). That got him thinking about the lifelong consequences of childhood trauma. What sealed his fate was a speech by Dr. Vincent Felitti, co-founder of the ACE Study, at a meeting sponsored by the Family Resource Council of Merced a year later, in 2005. Felitti did a presentation about his groundbreaking epidemiological research project, and related neurobiological research. After Felitti’s presentation, Lockridge realized that in his efforts to help his most troubled parishioners, he’d been doing everything wrong. He decided that he needed to do something about it, not only for himself, but for other clergy. “This” was the research showing that early childhood trauma causes much of the adult onset of chronic disease in the U.S.
From this list, researchers determined each person’s ACE Score. Each type of trauma counts as one. To their surprise, they found that childhood trauma in this middle-class, college-educated, mostly white population was very common – nearly 70 percent had an ACE Score of at least 1. And the odds were very high that if someone had one trauma, there were others. In other words, if your dad was an alcoholic, it’s likely that there was also emotional abuse in your background. The study showed that the higher the ACE score, the higher the risk of disease, suicide, violent behavior, or being a victim of violence. People with an ACE score of 4 or more had significantly higher rates of heart disease and diabetes than those with ACE scores of zero. The likelihood of chronic pulmonary lung disease increased 390 percent; hepatitis, 240 percent; depression 460 percent; suicide, 1,220 percent. 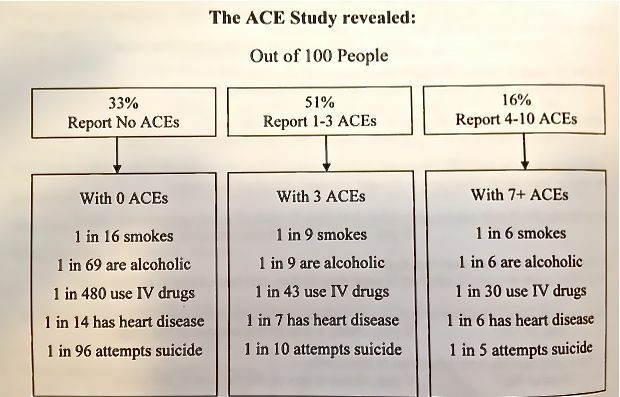 The percentages climbed to grim and astounding levels as the ACE score increased – people with an ACE score of 6, for example, had a 4,600 percent increase in the likelihood of becoming an IV drug user. And people with high ACE scores die, on average, 20 years earlier than those with low ACE scores. The reason that childhood trauma causes adult onset of chronic disease was determined by a group of neurobiologists, including Harvard University’s Martin Teicher and Jack Shonkoff, and Bruce McEwen at Rockefeller University. They figured out that the toxic stress of chronic and severe trauma damages a child’s developing brain. It essentially stunts the growth of some parts of the brain, and fries the circuits with overdoses of stress hormones in others. Children with toxic stress live their lives in fight, flight or fright (freeze) mode. Unable to concentrate, their brains are incapable of learning and they fall behind in school. They respond to the world as a place of constant danger, not trusting adults and unable to develop healthy relationships with peers. Failure, despair, shame and frustration follow. As they transition into adulthood, they find comfort by overindulging in food, alcohol, tobacco (nicotine is an anti-depressant), drugs (methamphetamines are anti-depressants), work, high-risk sports, violence, a plethora of sexual partners….anything that pumps up feel-good moments so that they can escape – even briefly – the sharp, tenacious claws of agonizing memories and despair. 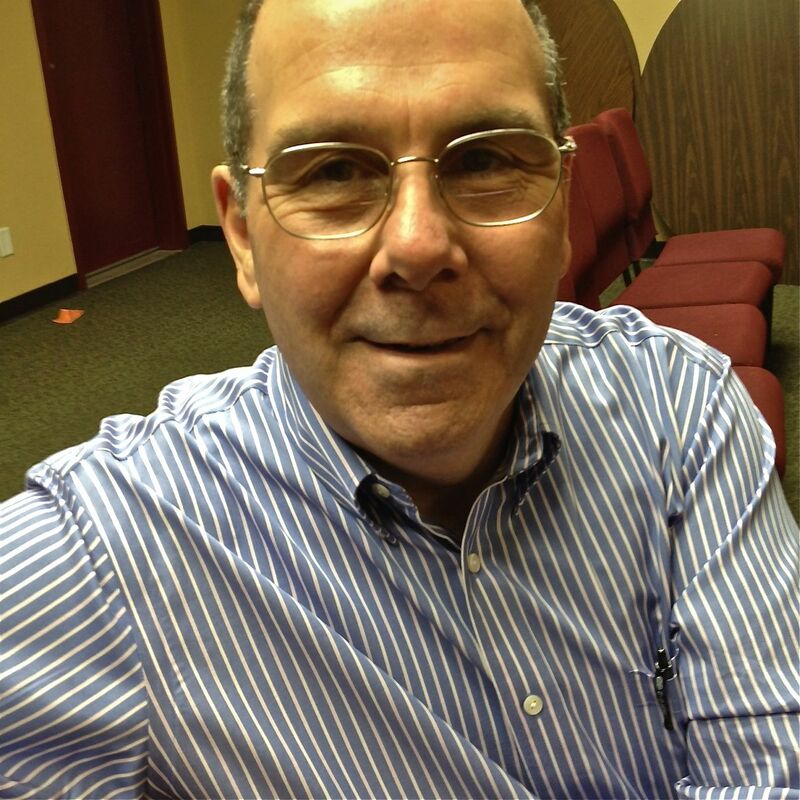 Overwhelmed, but inspired, Lockridge went back to school to earn a degree in psychology, resigned from his church, and, two years ago, founded ACE Overcomers “on a shoestring budget”. He began with the people who probably have the highest ACE scores in the county – homeless men who end up at the Merced County Rescue Mission, a faith-based center. 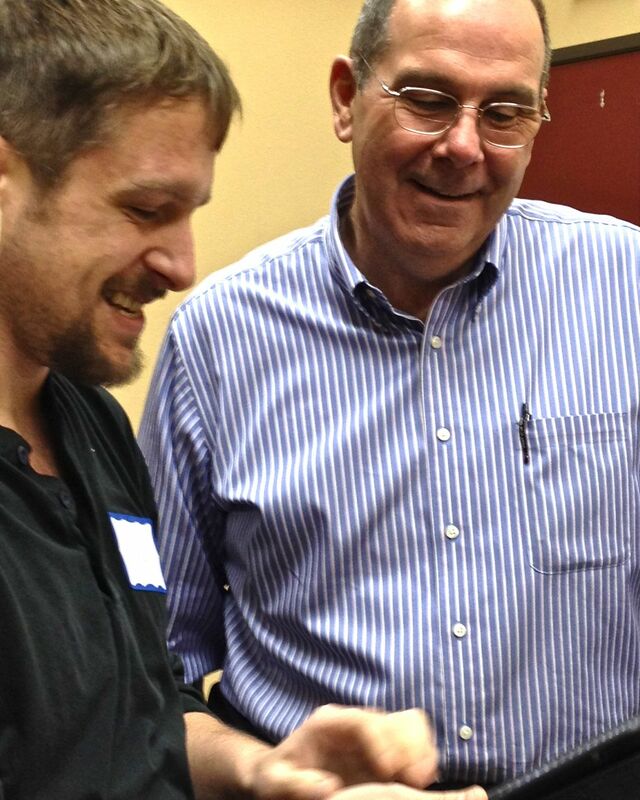 He set up a weekly class and, using scripture as a familiar entryway for these men into the unfamiliar science, began explaining the connection between how the troubled lives they were leading now grew out of their childhood traumas. 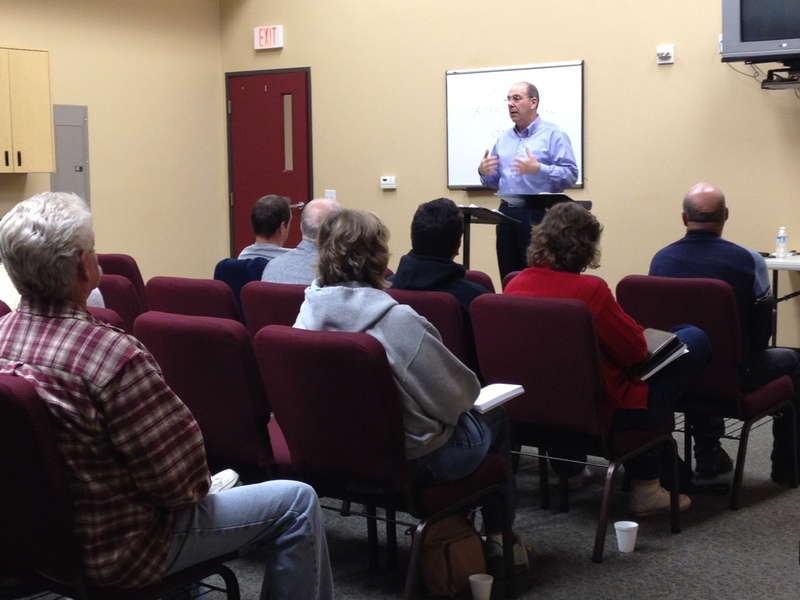 Dave Lockridge meets with ACE Overcomers class at Gateway Church in Merced, CA. He told them they weren’t bad people, and that how they responded to the traumas when they were children and as they were growing up – depression, anxiety, anger, rage, isolation — was normal and appropriate. But, using the same methods to cope with those uncomfortable feelings and memories now – alcohol, drugs, anger, isolation, etc. — was harming them and others to the point of chronic disease and early death. Lockridge provided the homeless men examples of other ways to cope that were healthier, including the idea that people could use teachings from the Bible to change their ways of thinking about themselves and their relationship with others. 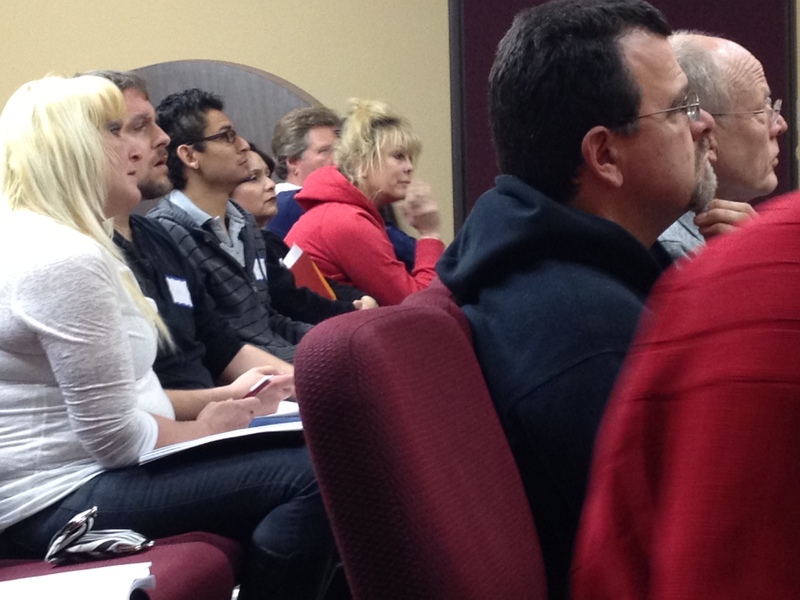 Members of the ACE Overcomers class at their sixth meeting at Gateway Church in Merced, CA. Lockridge began advertising the classes, which he organized into a 26-week course that people could drop into at any time. Marilyn O’Neill, who lives in Atwater, heard an ad for the ACE Overcomers meeting on the radio. As a child, she was very ill and experienced severe emotional and physical neglect as well as sexual abuse. As a 53-year-old adult, she’s grappled with severe depression, anxiety, and a series of stress-related illnesses. The one class that began at the rescue mission has now expanded to six faith-based classes a week, including four at local churches. The Monday night class is like all of Lockridge’s classes, filled with people who have either experienced or have a loved one who’s experienced adverse childhood experiences. Some people’s histories are so extreme that you wonder how they keep going. This includes the 30-year-old man whose mother sold him to two men when he was eight years old. The men took him to a different city, sexually abused and tortured him, then left him to die in a basement. He managed to escape, and was staggering, bleeding, down the street when a family driving by spotted him and took him to the police station. That family later adopted him, but those first eight years of his life have taken a toll. The abuse that’s passed on from one generation to another astonishes Lockridge. “Just when you think you’ve heard it all, you hear another story that leaves you shaking your head,” he says. ACE Overcomers class participant Kyle Wellington, left, and Dave Lockridge, executive director of ACE Overcomers, right. After making copies of individual lessons and handing out stacks of paper for two years, Lockridge wrote a workbook that was published last month and is now used in the classes. It’s called “Overcoming a Difficult Childhood: Biblical Principles to overcome the emotional, physical and spiritual effects of abuse and dysfunction”. As an outgrowth of his position as chairman of the Family Wellness Council, part of the Family Resource Council of Merced, Lockridge also provides secular workshops for education and social services, including the local Head Start programs. But his heart is in making changes in the faith-based community. “I wrote a paper in college about how a church is perfectly positioned to minister to people with a high ACE score,” he says. Churches are trusted. They’re an integral part of the community. They serve all age groups. And they’re supposed to lend moral guidance. But there’s a problem, he says. There’s an important issue that many people who are implementing ACE concepts in their communities agree upon: There aren’t enough therapists in the world to help the hundreds of millions of people who have complex trauma, generally thought of as an ACE score of 3 or 4 or more. The solution is to integrate ACE concepts and trauma awareness into the institutions that touch the lives of most people: schools, medical practices, public health centers and religious organizations. Lockridge has already taught one weekend seminar attended by about 40 clergy from the region, and is planning another training for the Fresno area. Lockridge recognizes that as far as he’s come, ACE Overcomers is still a work in progress. He hasn’t had a great deal of success reaching teenagers, and knows that he’ll have to change the approach and content of the course. The workbook uses verses from the King James version of the Bible, whose language is stilted and unfathomable to many people, especially those who haven’t graduated from high school. And though he says that his approach is different from Alcoholics Anonymous — because ACE Overcomers focuses ways to create healthier coping mechanisms instead of on the addiction and disease — AA seems to have one advantage. Its built-in “buddy” system encourages people to choose a mentor who can help them through difficult times outside the meetings. But Lockridge sees many more ways that ACE Overcomers can make a difference in people’s lives, including preventing ACEs. He’s working on a five-day curriculum that he plans to propose for the California school health and wellness classes required of all high school freshmen. 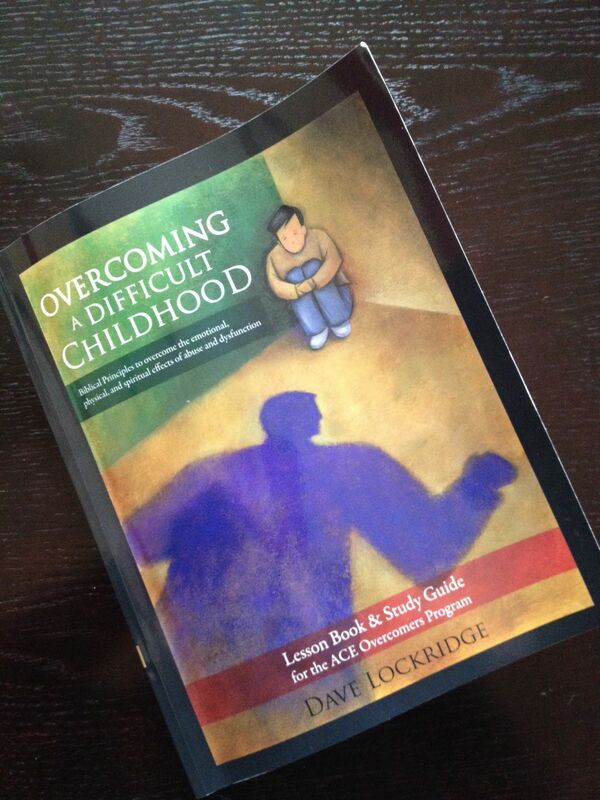 If you’re interested in buying a copy of Lockridge’s workbook, send $25 (which includes shipping and handling) and your address to Dave Lockridge at ACE Overcomers, P.O. Box 457, Atwater, CA, 95301.